Wack 100 Says Cardi B "Thotiana" Remix "Killed" Nicki Minaj’s "Barbiana"
The “Thotiana” train is chugging along like Lambchop’s “This is the Song That Doesn’t End” as remixes and remixes to remixes continue to drop left and right. There are rumors that another remix to the song is on deck with French Montana and Cardi B, and recently the track’s producer Scum Beatz told XXL that there’s even a sequel to the hit single on the way. This has been one helluva breakout year for the 22-year-old rapper who recently announced that all of his “Thotiana” success has afforded him to buy a $1 million home. 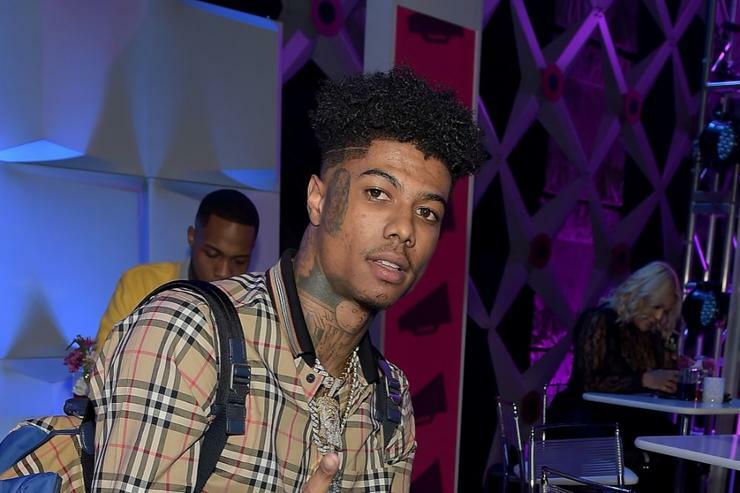 While there were many “Thotiana” remixes that commanded attention, the two standouts that fans talked about more than the others were Cardi B’s version with Blueface that also came with a music video, and Nicki Minaj‘s take on the track with “Barbiana.” Blueface and his manager Wack 100 recently sat down for an interview with KMEL radio where the rapper was asked who he thought did a better job at remixing his hit.